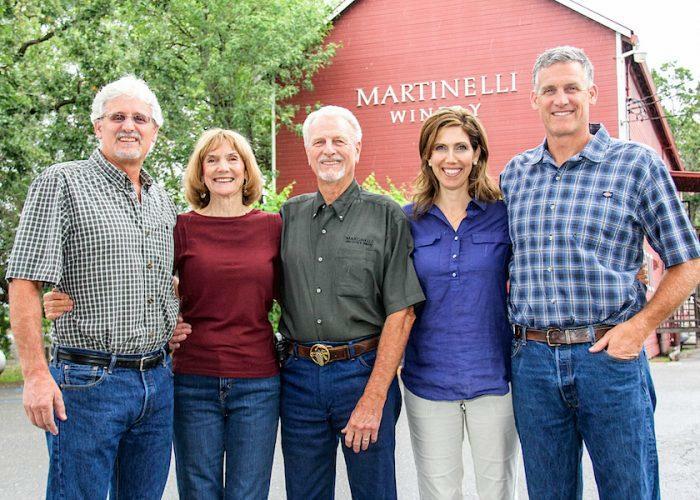 The Martinelli family has been growing grapes in the Russian River Valley since 1887. At the ages of 19 and 16, Giuseppe Martinelli and Luisa Vellutini left their small village in the Tuscany region of Italy and made their way to California looking for land to farm and start a winery. Giuseppe had been a winemaker in Italy and with his viticultural knowledge he was hired to plant a vineyard for a farmer in Forestville. 100 years later, the historic Martinelli Estate vineyards are farmed by Lee Martinelli, Sr., and sons Lee, Jr. and George Martinelli. The wines are made by winemaker Bryan Kvamme. These handcrafted wines are unfined, unfiltered, neither cold nor heat stabilized and may contain naturally occurring sediment. Vinous Media 94 "A rich, boisterous wine, the 2015 Zinfandel Giuseppe & Luisa is explosive in the glass. Here, too, the flavors are bright and vibrant. Red-toned fruit and expressive floral notes abound. Voluptuous and intense, the 2015 possesses tremendous thrust in its flavors and overall feel. Wine Advocate 93+ "The 2014 Pinot Noir Moonshine Ranch displays loads of structure, rich kirsch liqueur notes with some licorice and forest floor. The wine has fabulous fruit on the attack, medium to full body, and beautiful ripeness, purity and length. Drink it over the next 12-15 years."